For me, working with and shaping wood, reading its grain patterns, and matching colours and different species, is like writing poetry or painting. I truly enjoy bringing this artistic expression and creativity into the crafting of functional furniture. A beautiful piece is generally simple and has nothing left which could be taken away. A well designed and manufactured piece radiates the love that was put into it. The wood, grain, direction of grain, and colour combinations are what make the piece unique and memorable. I keep in mind the environment the piece is destined for, and incorporate complementary features where possible. I have been designing and making furniture and cabinetry since the early 1980’s and started MapleArt, a high-end custom furniture business in Maple Ridge, BC, Canada, in 2003 after working in the wireless telecommunications field in research and development and corporate management for 25 years. A substantial amount of my engineering and management work was on an international level, traveling all around world. This gave me a lot of inspiration for building furniture later on. Just think of the beautifully laid out rice fields in Bali following intricate curves around contours of the hills. 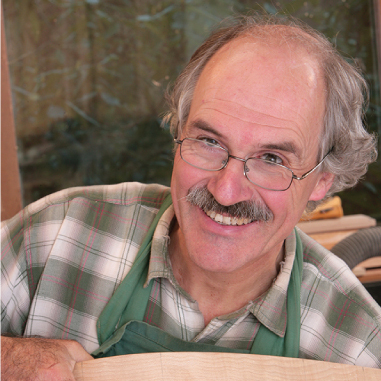 With my education in industrial arts and engineering in Switzerland and at Queens University in Kingston Ontario, I bring a rigorous and exacting approach to furniture design and joinery. In my work, I try to achieve the highest quality possible at every level, in what is visible and what is hidden, and to create unique pieces that can be handed down for generations. My specialty is laminating wood into complex patterns and curves, and I love the combination of wood with glass and rock. I predominantly work with local solid hardwoods. In many cases I harvest my own trees, usually Western Maple, Walnut and Cherry. Wherever possible, I let the wood speak. I work with any wood my customers’ desire, but prefer the hardwoods from the renewable northern temperate forests, particularly maple, cherry and black walnut. All my major pieces are dated, signed and numbered and I keep a registry of where all my work goes.